Term 1 ends Friday April 12. Early dismissal at 2pm. Term 2 starts Monday April 29. Pupil Free Day Wednesday 1st May. Clovelly Park Primary School is a public school managed by the Department for Education and Child Development (DECD). It was formed in 1995 following the amalgamation of Mitchell Park Primary and Tonsley Park Primary Schools. It is a culturally rich school incorporating mainstream classes, area special classes, Intensive English Language Centre classes (IELC), and an International Education Program. 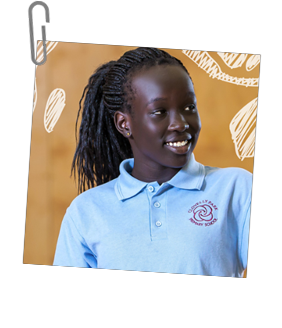 Teachers plan rigorous, relevant and engaging learning through the Australian Curriculum to address the individual learning needs of our students. We have a strong literacy and numeracy focus across the school. Students are also able to participate in a number of individual pursuits including performing arts and sports teams. Our school values of respect, tolerance, responsibility, cooperation and persistence are evident here and across all other aspects of school life. We have a strong commitment to ensuring that everybody belongs. We have approximately 57 different nationalities represented and students, families, staff and the community embrace the diversity within the school. Our school includes an Intensive English Language Centre (IELC) catering for New Arrivals students from Reception to Year 7. We also have an International Education Program for Primary aged students. Our school is part of the Department for Education and Child Development (DECD) Marion Inland Partnership which works together to achieve greater benefits for students and make better use of available resources.